You know you’ve had a good weekend away when you could see yourself moving there. That’s how it felt after one night in Robertson, the hospitality and the pace of living is so different to living in Cape Town. I sent an email to Mira (she owns Hot Oven Marketing based in McGregor) and asked her for some recommendations for a weekend in Robertson. Wow! If you want someone to tailor the perfect weekend – she’s your person. The accommodation is spacious and has everything you need (including a heater and an electric blanket for winter). The staff were very friendly, and went to a lot of effort to ensure that we had everything that we needed. The stunning rim flow pool offers the perfect spot to relax in the evenings with views over the valley and in summer will be a welcome refuge from the heat! We ate at the restaurant one evening and found the BEST prawn starter that we’ve had in ages so we’ll have to come back! Home of two of our favourite chardonnays, we were very happy to be making our way to De Wetshof. After working our way through their range (it took us a leisurely 2 hours!) we couldn’t decide which wines to go home with so, being constrained by budget, we decided on a bottle of Finesse and Limestone Hill Chardonney. 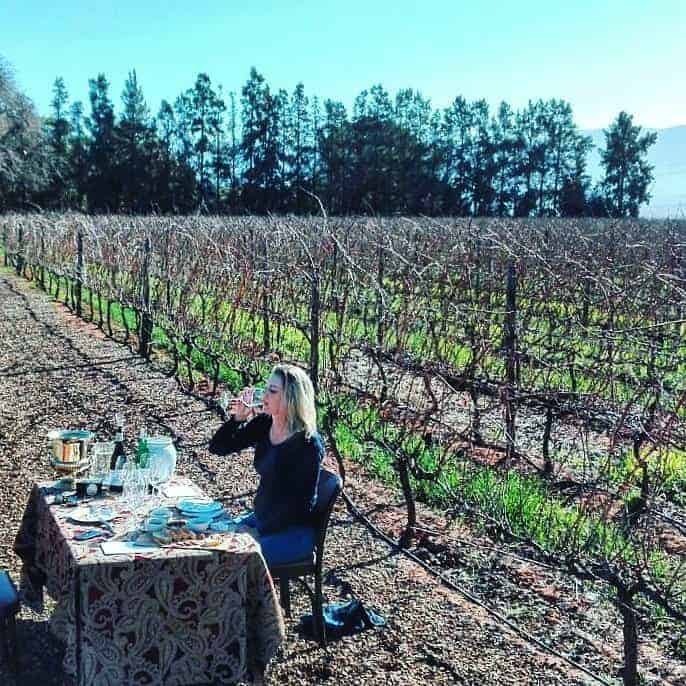 We had the vineyard to ourselves and it felt like such an incredible spoilt to be seated outside, enjoying the winter sunshine and enjoying some of our favourite South African wines. Insider Tip: If the weather is great they set up tasting tables in the vineyards which is a really fun experiences. So call ahead (in Spring or Summer) to find out if they are setting up in the vineyard. I’ve been wanting to go to Springfield since I first tasted their Life from Stone Sauvignon Blanc. They have a reputation as being a boutique wine farm that produce world class wines and as such I expected it to be a formal, ‘on your best behaviour’ type place. But nothing could be further from the truth – they have a very family-run approach, very friendly, very relaxed and lots of fun! Our wine tasting was led by the wine farm owner’s daughter – who, although young, knows an incredible amount about wine (having worked at Jordan and at wine farms in California and New Zealand). She was passionate about the wines and the plans that they have for Springfield. Two hours passed without us even noticing and we left with our favourite from the tasting: a bottle of Miss Lucy. Their Life from Stone was sold out and the 2017 vintage was a week away from being released so we didn’t get a chance to taste that. The tasting room overlooks a dam and is a great spot to spend an afternoon! Insider Tip: They don’t serve food but if you phone ahead to check, they don’t mind if you come through with a cheese platter of your own. On our way home on Sunday we stopped in at Graham Beck for a bubbly tasting. Their new tasting: “Méthode Cap Classique Tasting… A Glass Act” which takes you through their range showing that different MCC’s taste different depending on the glass. Graham Beck has specially selected glassware that has been designed to showcase each MCC best (and you can compare the taste with a regular flute of the same MCC). 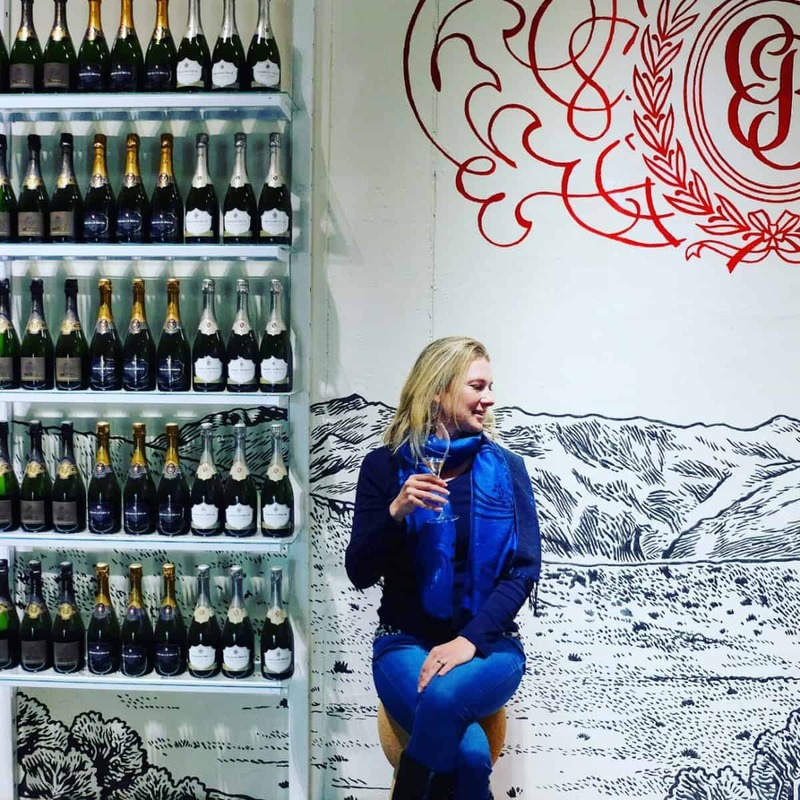 Insider Tip: Graham Beck is one of the few places that is open on a Sunday, so it makes the perfect stop on your way back to Cape Town after a weekend in Robertson. We were needing some time out in the country and didn’t want to do too much. 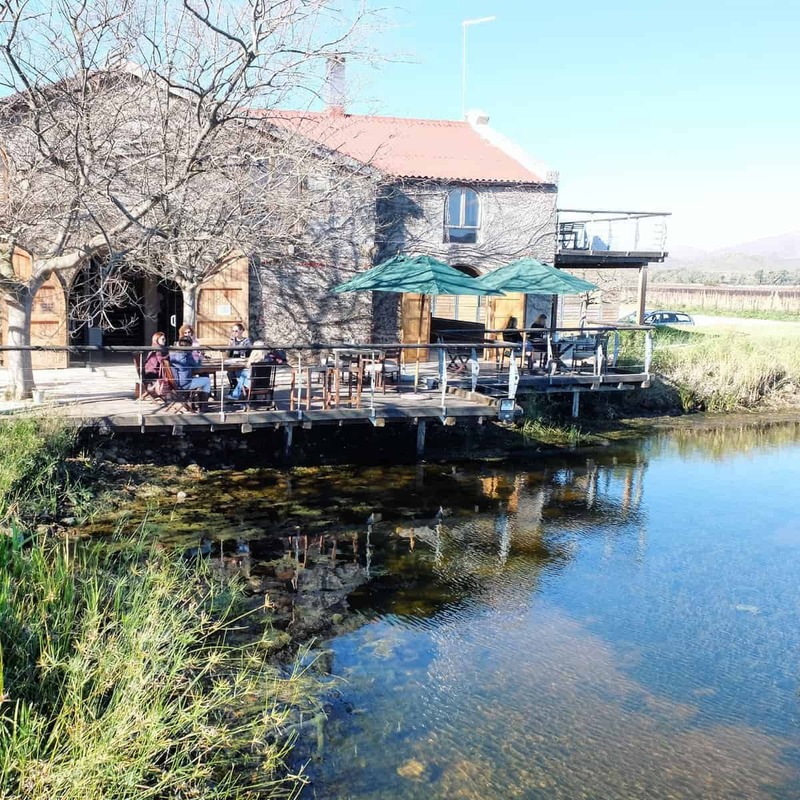 There is an almost unending list of things to do and places to go, and Robertson hosts two of the best wine festivals in the Cape (Wacky Wine and Wine on the River). Have a look at their website and get inspired! Thank you very much Mira and Robertson Wine Valley for hosting us. Also, view our article on driving lessons, k53 tests and ‘oil painting‘ tips and techniques. 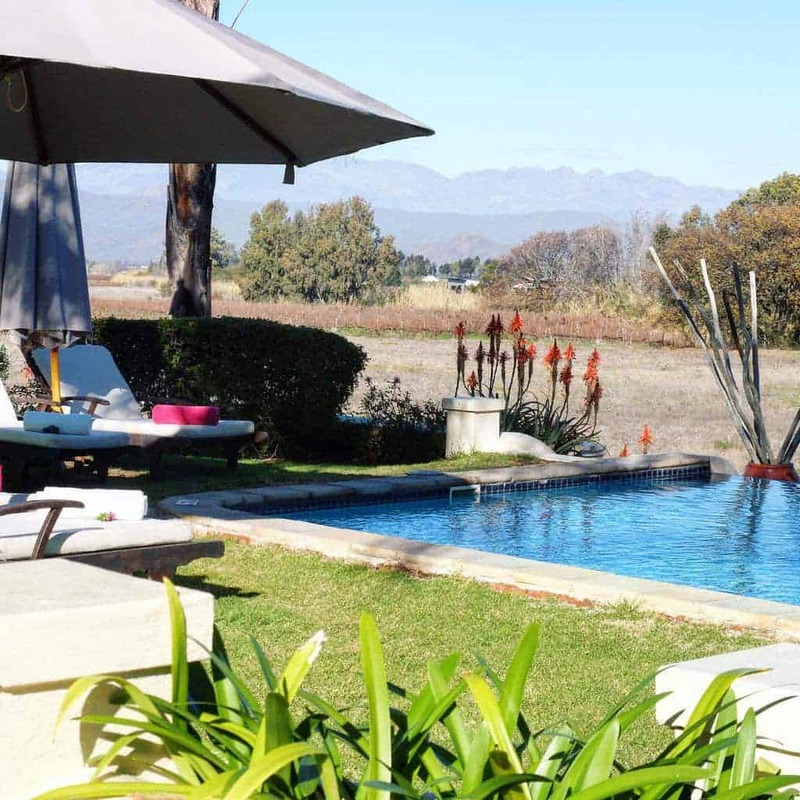 ** This is not a sponsored post, we were invited to go through to Robertson for the weekend and were hosted by Rosendal, De Wetshof, Springfield and Graham Beck. All other costs were for our account.